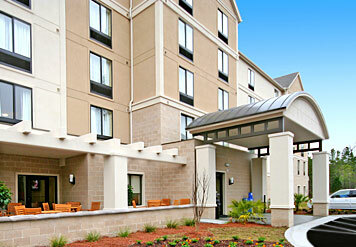 The Towneplace Suites by Marriott in Wilmington located 5 miles from the Wilmington Airport and less than a quarter of a mile from the University of North Carolina, Wilminton. It is a five-floor building with 111 suites. The hotel features a fitness center, indoor pool, a 24 hour market, 32” flat screen TVs and full service granite/stainless steel kitchens. In addition, the hotel has a meeting room, complimentary evening cocktail reception and internet access.